In 2015 World Leaders committed to the Global Goals for Sustainable Development. 17 goals to achieve 3 extraordinary things in the next 15 years. End extreme poverty. Fight inequality and injustice. Fix climate change. Check out the goals at the link below. 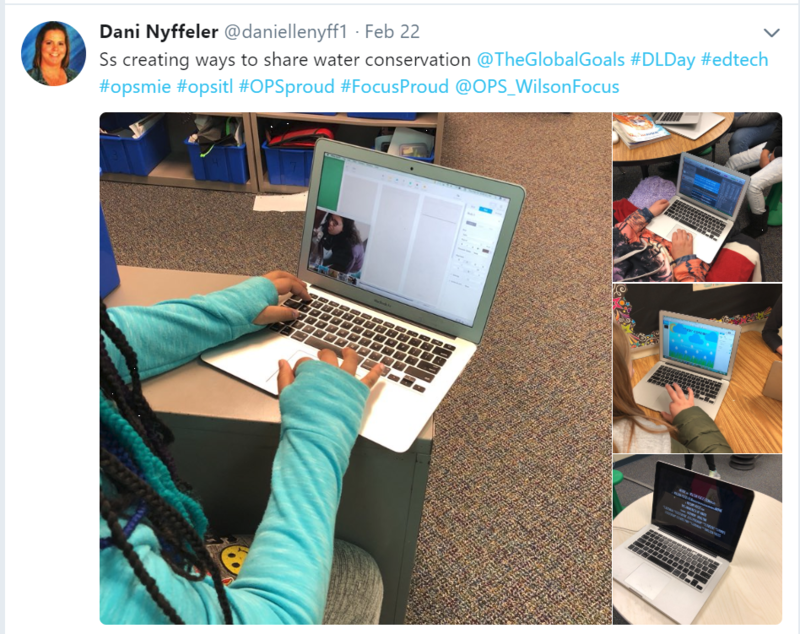 Why should you and your students learn and support the Global Goals? As members of society, everyone no matter their age, need to be involved in supporting these goals. 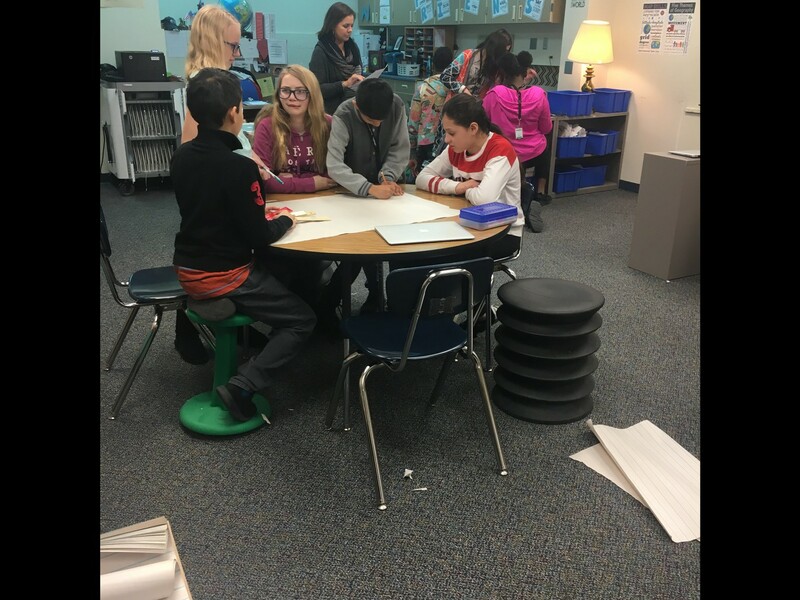 As educators we have a chance to broaden student perspectives and explore local and global issues to investigate solutions. 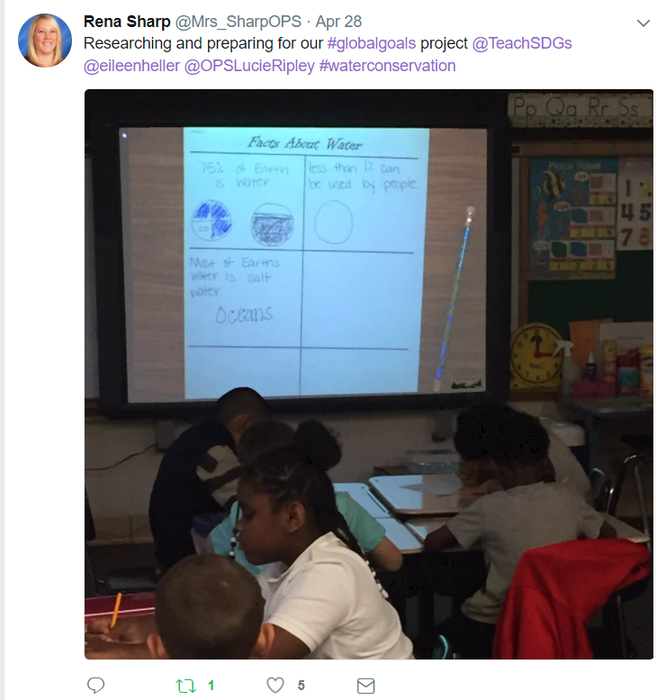 When embedded into student learning, this builds an awareness of the importance the key issues within the global goals plays in our lives. 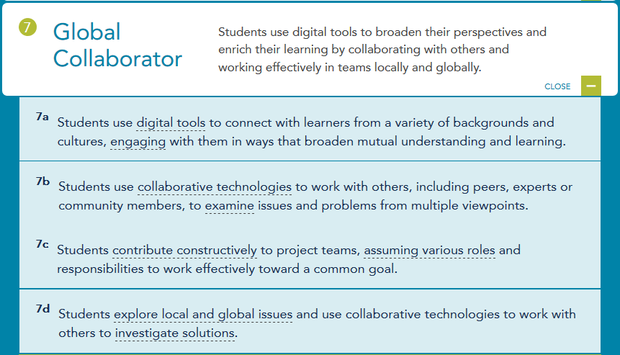 It also supports the ISTE standards to serve as a "Global Collaborator". 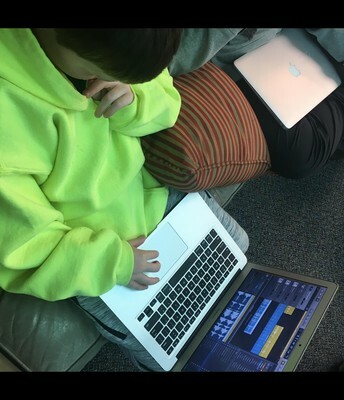 Learn more about all ISTE Student Standards at the link below. 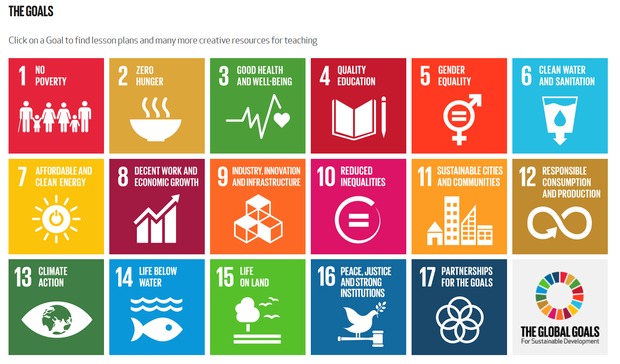 How can you and your students get involved in the Global Goals Initiative? Job well done, you are now aware of the Global Goals…you could stop here or continue to level up the learning and make a bigger impact in Level 2. Get students excited about helping out by viewing the "Call to Action" video below. It can be as simple as a poster (example posters) or digital story to build awareness, a campain to get others involved, or as complex as a protype of an invention. The tools you use are completely your choice. 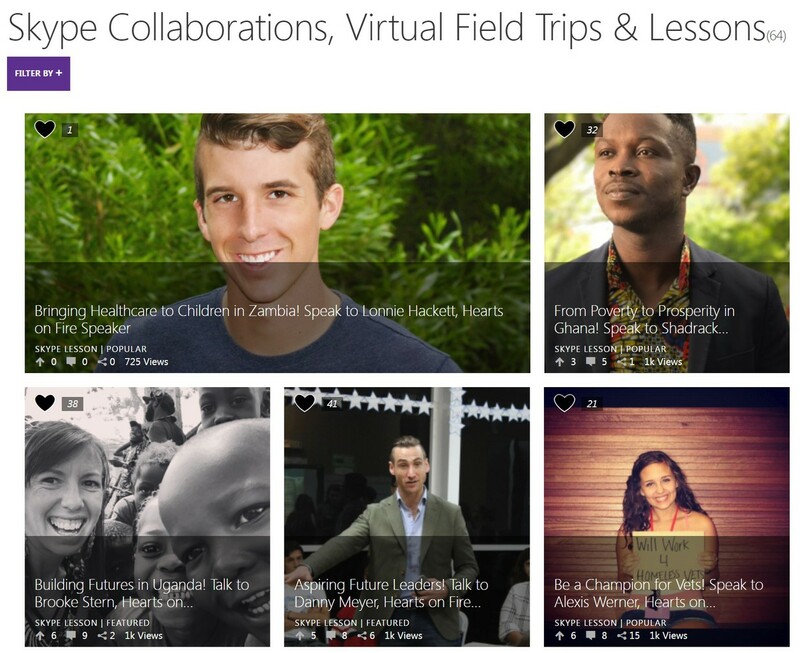 Yay, your students are taking part in the solution...stop here or level up by making them true global collaborators in Level 3. Option 1: Working independently, in groups, or as a whole class, students will then share their work from Level 2 with a class of children somewhere else in the world. 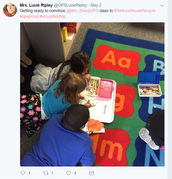 The other class will do the same. 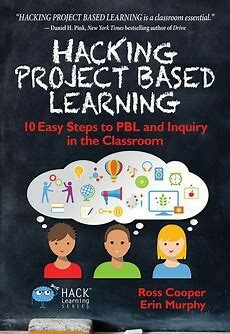 Option 2: You will connect with another teacher somewhere in the world and will work collaboratively to develop a project that works for both of your classes. An example might be solar lamps which fits into SDG 12: Responsible Consumption and Production and SDG 13: Climate Action. 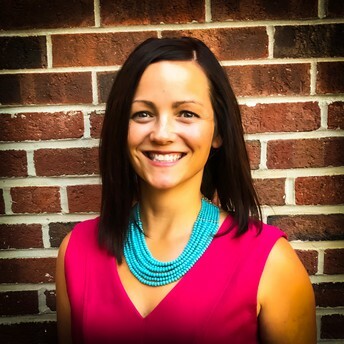 You may have several Skype sessions for brainstorming, project development, and sharing. This is a choice to be made by you and your partner teacher. 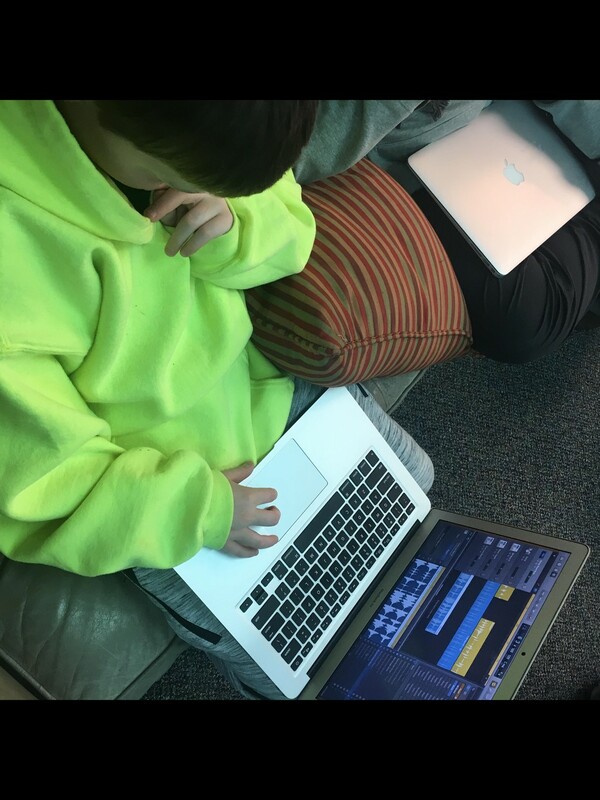 No matter what level your students get to, share with others to keep the momentum going. 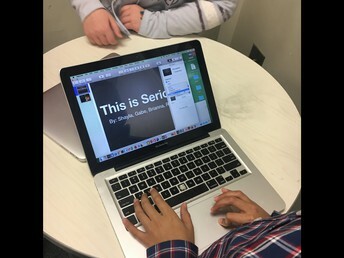 Showcase in your school by displaying solutions or sharing them verbally with others. I was invited in as a guest reader to Rosehill elementary. 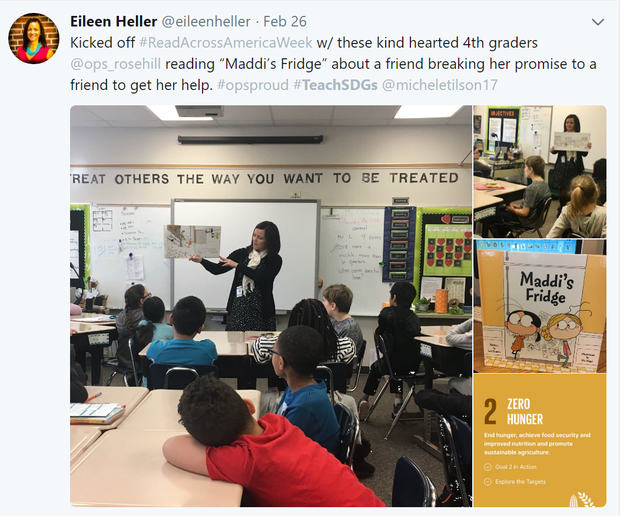 The librarian, Michelle Tilson, selected the book "Maddi's Fridge". A wonderful story with two characters that were new friends. One realizes her friend does not have enough food at home, but promises to keep it a secret. The book offered suggestions and resources that would allow the students to be a part of the solution. 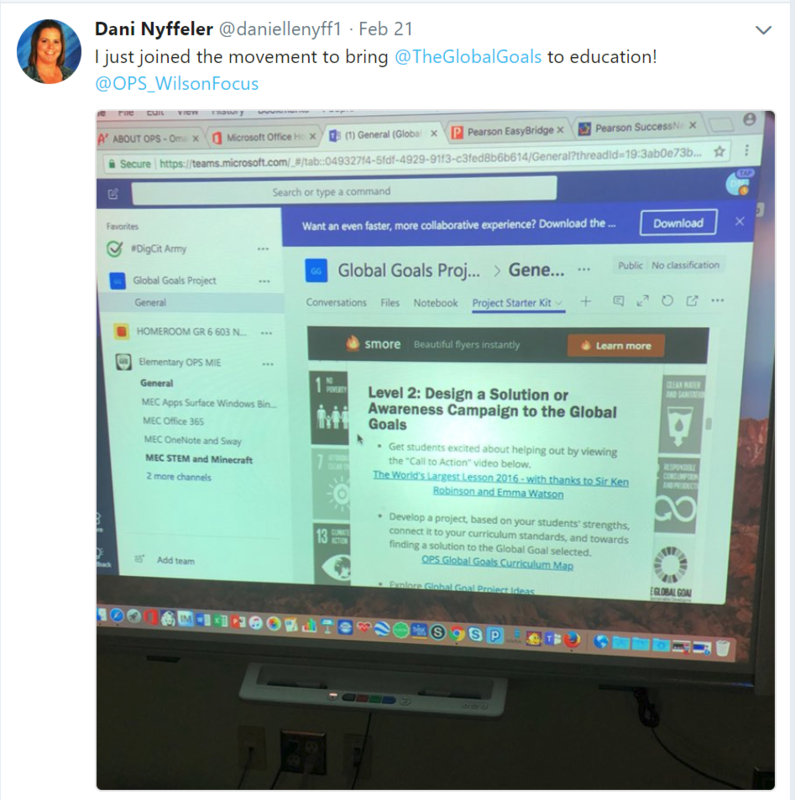 Look in your local library or classroom books to see if there are topics that will go along with the Global Goals as a natural tie into building an awareness of the world issues for your students. 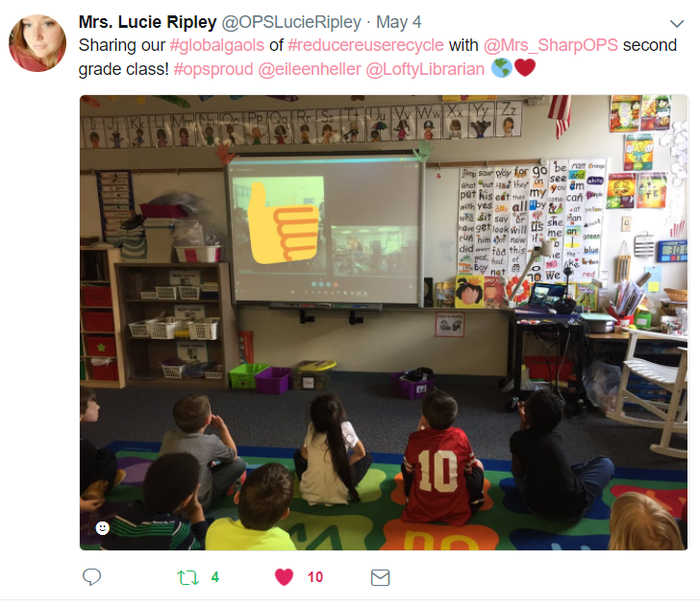 Rena Sharp, 2nd grade teacher at Kellom Elementary and Lucie Ripley, Kindergarten teacher at Prairie Wind connected their students together to plan out and share their projects that focused on a Global Goal as they worked towards celebrating Earth Day. They focused on goal #6 Clean Water and Sanitation and goal #12. Responsible Consumption and Production. 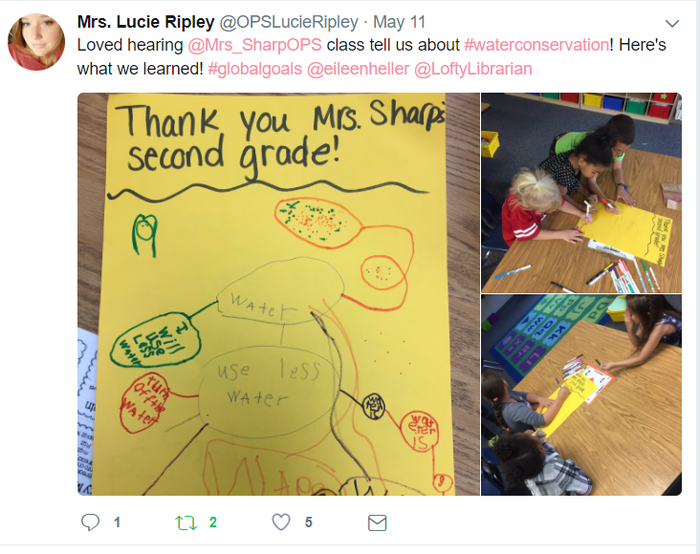 Rena's class researched facts about water and shared ways to reduce the usage of water. Lucie's class focused on learning how to reduce, reuse, and recycle to help our Earth. 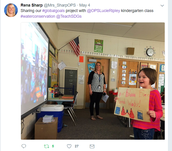 They then connected via Skype to share their learning and projects. After the Skype visit they sent thank you cards. Rena's class shared further by working with a school in Michigan working towards similar goals she found on the #TeachSDGs Skype Collaboration. 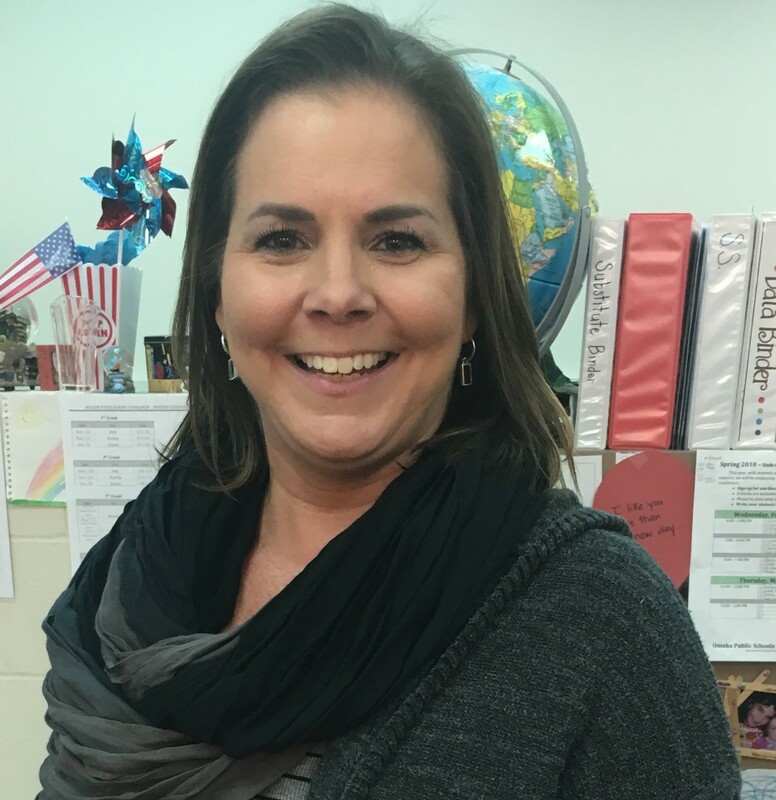 Dani Nyffler, sixth grade teacher, was teaching the process of the Water Cycle as a portion of their curriculum, but the lesson provided in the text did not go into much depth or real world application. 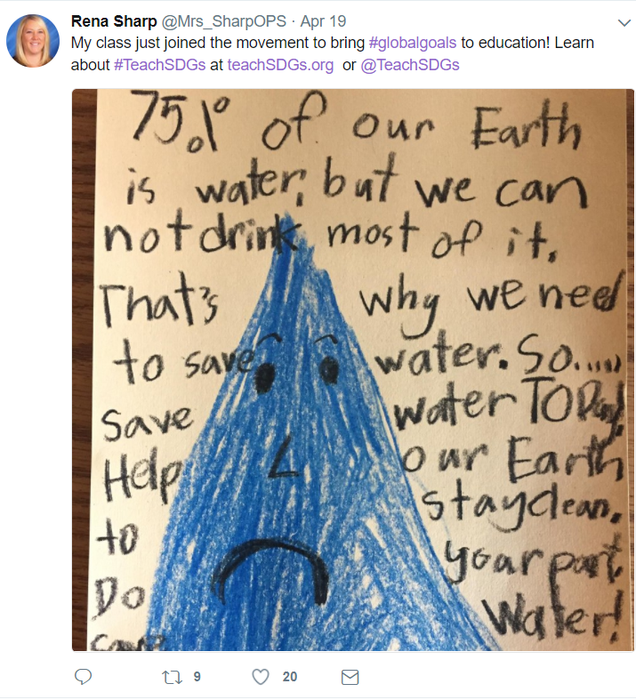 She wanted to connect it to the global goals and selected #6 Clean Water and Sanitation. 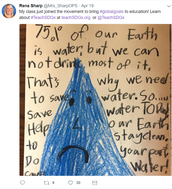 She shared with the class a video about the Cape Town Africa Water Crisis. 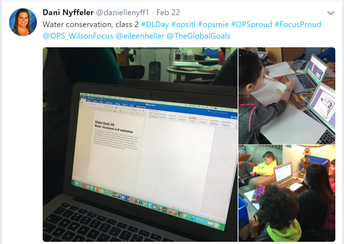 Students did research on water usage and conservation. They wanted to create an awareness campaign tied to the Global Goal. 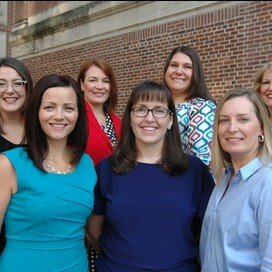 Contact me about any questions or to share ideas.